According to Bridgestreet, 60% of international business travelers have added vacation time onto a business trip and better than half of them bring their families along. This practice has come to be known as "bleisure." The trend towards bleisure is expected to grow as 94% of younger travelers have or want to do so. Businesses are beginning to respond to bleisure travelers. The Bridgestreet report referenced above was for the hospitality industry and some designers are coming up with mixed outfits specially for the bleisure crowd. When taking a vacation onto a business trip, your clients should still make sure it is protected with Travel Insurance. The typical plan will cover emergency medical expenses and baggage loss and delay, and recover at least some of the cost of the trip if the vacation portion has to be canceled or cut short. As a Big "I" Markets agent, you can offer your clients travel insurance through our partner carrier Travel Insured International. Opt-in for Cancel for Any Reason Coverage, and your clients may cancel their plans and get up to 75% of their total trip cost for any reason they choose. They just have to have purchased within 21 days of deposit (other eligibility conditions must also be met) and cancel 48 or more hours prior to scheduled departure in order to be eligible. The TII travel blog covers a myriad of travel related subjects including travel agent myths, bleisure, air travel tips, picking the right hotel, using a cellphone abroad, navigating hurricane season, and more. Don't know how to account for miles or rewards points in the cost of the trip? There may be a points rebanking fee if a trip is cancelled and that cost, up to $250, can be covered. Travel Insurance can cover accident and sickness medical expense, emergency medical evacuation/repatriation, trip delays, cancellation, interruption, missed connections due to severe weather or many other reasons outside the traveler's control. Review the product guide with your client. Use the Quick Quote Feature on the Travel Insured International Site to calculate premium and add optional coverage if desired. Contact the Carrier's Help Desk with any coverage or underwriting questions. When you are ready for coverage to be issued, you MUST click on Request a Quote to access the applications and enter client information. Then scan and attach the completed application as a "New Message" or email to nancy.doherty@iiaba.net. A credit card number is required to issue coverage. Travel Insurance is currently available to members in all states. The Travel Insurance International help desk can be reached at (800) 243-3174. Nancy Doherty can be reached by email nancy.doherty@iiaba.net or at (800) 221-7917 x5389. Submit business online at www.bigimarkets.com. Rates, waiting periods, and coverages can vary in FL, IA, KS, NY & WA. Non-standard homeowners is back the Blue Grass State! 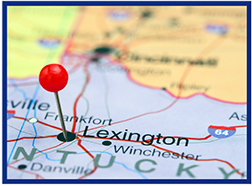 Lexington has reopened underwriting in the Kentucky for our non-standard home program. Please submit your non-standard HO business through Big "I" Markets. Lexington can write unsupported secondary homes, short term vacation rental homes, unprotected homes, older homes in good shape, and rental homes. A comprehensive list of broadening endorsements available. Minimum value of $150,000. Submit a quote today at www.bigimarkets.com. Look for Non-standard Homeowners, Renters, Condominium, Rental Dwellings, Vacant Dwellings in the personal products menu. Recreational vehicles are sometimes called land yachts, and with good reason. Both yachts and RVs can carry of the comforts of home to remote locations, such as beds, kitchens, bathrooms, showers, closets, refrigerators, internet, TVs, in-motion satellite systems and more. The more amenities offered, the more complicated they are. Those systems are also competing for a limited amount of space in which to operate, so some amenities share functional space with others, meaning only one can be used at a time. Space can be created while parked with pop-up roofs and slide out walls. Higher-end RVs can have multiple levels and larger, more luxurious versions of the same features, plus a few not found in less expensive RVs. More bells and whistles also means that there is more that must be maintained. 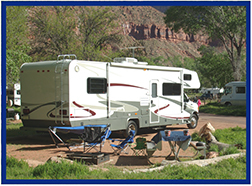 National General offers excellent RV coverage for motor homes with an original cost new value up to $1 million. Also eligible are travel trailers, fifth-wheel trailers, pop-up trailers, truck-mounted campers, Airstream trailers and toy haulers. Maximum coverage limit varies by state. Coverage available as new business in Alabama, Arizona, California, Florida, Illinois, Iowa, Kansas, Louisiana, Maryland, Montana, Nebraska, New York, North Carolina, North Dakota, Ohio, Oklahoma, South Carolina, South Dakota, Tennessee, Texas, Virginia, Washington, Wisconsin, and Wyoming. Stationary Unit coverage is available as new business in Alabama, Arizona, Arkansas, Colorado, Florida, Georgia, Illinois, Iowa, Kansas, Kentucky, Louisiana, Maine, Michigan, Mississippi, Missouri, Montana, New Hampshire, Nebraska, New Mexico, New York, North Carolina, Ohio, Oklahoma, Pennsylvania, Rhode Island, South Carolina, South Dakota, Tennessee, Texas, Utah, Virginia, and Wyoming. Please send any questions to Aimee.Fawns@iiaba.net. InsurBanc's David Tralka "Wisdom from Agency Owners." Congratulations to our agent in Texas on a Bonds - Bid, Contractor, Performance, Surety sale of $12,866 in premium!